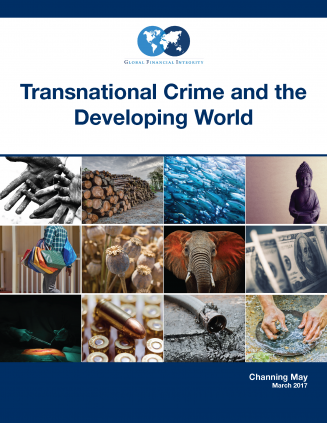 This March 2017 report from Global Financial Integrity, “Transnational Crime and the Developing World,” finds that globally the business of transnational crime is valued at an average of $1.6 trillion to $2.2 trillion annually. 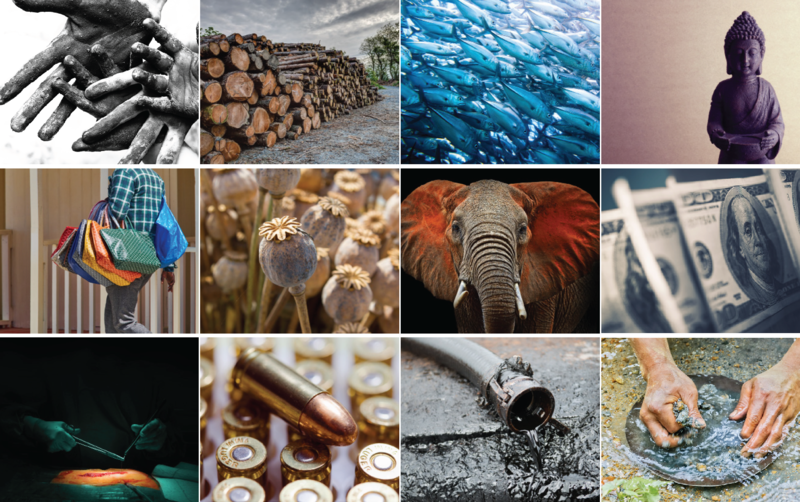 The study evaluates the overall size of criminal markets in 11 categories: the trafficking of drugs, arms, humans, human organs, and cultural property; counterfeiting, illegal wildlife crime, illegal fishing, illegal logging, illegal mining, and crude oil theft. Transnational crime is a business, and business is very good. Money is the primary motivation for these illegal activities. Of the 11 illicit activities studied, counterfeiting ($923 billion to $1.13 trillion) and drug trafficking ($426 billion to $652 billion) have the highest and second-highest values, respectively; illegal logging is the most valuable natural resource crime ($52 billion to $157 billion). The ranges demonstrate the serious magnitude of and threat posed by global transnational crime. The revenues generated from the 11 crimes covered in this report not only line the pockets of the perpetrators but also finance violence, corruption, and other abuses. Very rarely do the revenues from transnational crime have any long-term benefit to citizens, communities, or economies of developing countries. Instead, the crimes undermine local and national economies, destroy the environment, and jeopardize the health and wellbeing of the public. Transnational crime will continue to grow until the paradigm of high profits and low risks is challenged. In addition to current efforts to fight these crimes, this report calls on governments, experts, the private sector, and civil society groups to seek to address the global shadow financial system by promoting greater financial transparency. This will help cutoff the money flows and the profits, and it will increase the ability to bring these criminals to justice and defeat their illicit transnational networks.